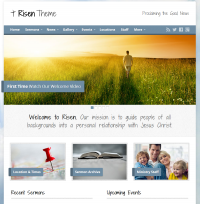 Risen is a WordPress theme that has all the features a church website needs. 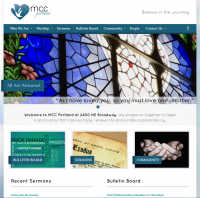 A mobile friendly responsive design, sermon archive, photo & video gallery, church events, supports multiple locations, staff profiles & church news. The sermon archive comes with the capability for visitors to search for audio, video & text by category, tag, date & speaker. Podcasting sermons are integrated with Risen. 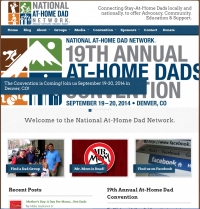 An at-home dad is any father who is the daily, primary caregiver of his children. He cooks, cleans and cares for his children most days of the week while his wife works outside the home. Many at-home dads also provide some income to the family by working an evening shift full-time or working from home part-time or doing odd jobs when it works into the family’s schedule. Most at-home dads are in the role by choice (over 70% according to this 2012 study) and not due to a job loss. While these men are doing what used to be almost exclusively done by moms, they are not “Mr. Mom.” They are at-home dads. It is the mission of The National At-Home Dad Network, a 501c3 non-profit organization, to provide support, education and advocacy for fathers who are the primary caregivers of their children. They are a Christian congregation that affirms those who seek God in a variety of ways. They encourage spiritual growth through worship, prayer, learning and service. Though individual theological beliefs differ widely, our mutual commitment to love, justice and spiritual living gives us a unifying bond. Unite with brothers and sisters in Portland and with a spiritual communion inclusive worldwide movement of more than 222 churches in 37 countries around the world. Their mission is to: Invite all to seek and experience the Divine within and beyond; Develop a spirituality that inspires hope, renews life, and kindles passionate joy; Serve and strengthen those in need; and Work for a just and whole world. VELA’s intent is to provide the Community at large with Resources and Programs that will foster community self reliance. VELA provides the tools necessary to facilitate Growth and Stability. By forming alliances with key stakeholders, who share a common vision, VELA makes positive changes with Families, Individuals, Businesses and the Community at large. 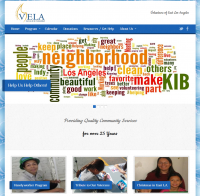 VELA’s programs and resources link Families, Individuals and Businesses with support services, by collaborating with Key Partners and facilitating a referral system for the common good of the community at large.